Constantia Insurance Company is proud to welcome insurance stalwart David Harpur as Chairman and Independent Non-Executive Director and Peter Todd as a Non-Executive Board Member. David’s career spans almost five decades and he is well known and respected in the insurance industry. His career highlights include serving as President of the Insurance Institute of South Africa (IISA) for two terms, and, also in his capacity as president, leading the Financial Intermediaries Federation of South Africa (FIFSA), the Insurance Institute of Gauteng (IIG), and the South African Financial Services Intermediaries Association (SASFIA), now the Financial Intermediaries Association (FIA). He’s held numerous other executive positions. For the past nine years, David has held the position of CEO of IISA, helping establish the status, reputation and financial base of the association in the local, African, and international markets.His passion for the industry, and his championing of professionalism and insurance education at all levels, are a few of the characteristics that make him an asset to the Constantia Insurance Group, which prides itself on its highly-skilled people, innovation and obsession with detail. 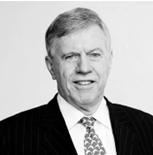 Constantia Insurance Company is equally excited about the appointment of Peter Todd as Non-Executive Board Member. Peter is the founding director of Repair Solutions, a claims management company focused on the motor-repair industry. He has consulted widely across the insurance industry, as well as to companies looking to branch into the insurance sector, such as mobile network operators, banks and other financial institutions. He has held various senior positions in the industry, including Chief Executive of Mutual and Federal, Managing Director of Absa Insurance and Financial Advisors, and Regional Managing Director of Alexander Forbes Asia Pacific. He has also served as a director on a number of industry boards, including the South African Insurance Association. Peter is also a past president of the IISA. Constantia Insurance Company is excited about Peter’s input in developing our unique services and tailor-made innovations, and to see how our new members will assist us on our journey of becoming a key player in the insurance market. Constantia Insurance Company Limited will be celebrating our 66th year in 2018 and throughout this time have always prided ourselves on being a company of people who seek out new ways of doing things, while not losing sight of what experience has taught us. The company drives service excellence supported by the vast experience and knowledge of executive members and talented support staff.